YOUR SENSITIVE INFORMATION IS SAFE WITH US. 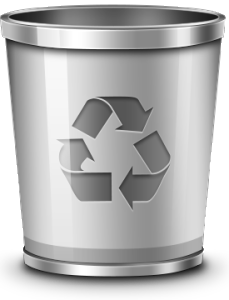 IT Recycles was founded by Joseph Anzivino as the ITAD and Recycling division of PCExchange.net, Inc. Originally serving as a computer refurbished firm with the aim of helping businesses repurpose their IT assets, our business has grown and adapted to offer detailed solutions to support our clients’ many electronic recycling demands. We confidently comply with all the industry compliance and regulation requirements. This makes us an extremely dependable IT Assets Management and Disposal company. To ensure we always offer our clients an optimum level ofsecurity and confidentiality during the repurposing and recycling process, we partner with dependable regulators like ISO9001, eStwards and R2. These many developments have allowed us to offer clients top-notch services and complete customer satisfaction for all the services we offer. IT Recycles is happy to offer customer-focused IT asset disposition (ITAD) solutions and programs. Our team will provide a secure and environmentally friendly platform that meets your goals with a competitive edge. IT Recycles is focused both on-site and off-site data equipment erasure, multi-site ITAD and hard drive shredding services. Companies are constantly faced with the challenge of disposing of electronic products. They must wade through in-house sustainability protocols as well as the numerous government policies. Because there are numerous rules and regulations about how and where to recycle IT assets, choosing the right company for the disposal of IT and electronic wastes is important. When you need computer recycling, the team at IT Recycles can easily take any type of IT equipment off your hands! We have the expertise and experience to deliver reliable and risk-free IT asset disposal and electronic recycling services at an affordable rate. This means you will have an effective and reliable solution for your IT recycling needs for your business. This is the IT Recycles guarantee. Our team can quickly break down equipment and separate the various materials so you do not have to. At IT Recycles, it is our goal to reduce your risk by ensuring we always provide 100 percent environmental safety and conformity to all regulations. This is a commitment that we take very seriously.